A perfect fit for your home or office, this laser engraved rosewood finish is a handy way to keep up with your contacts and distribute your cards to prospective clients. 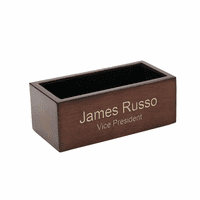 It is made of solid wood with a rosewood finish that will coordinate with any desktop. 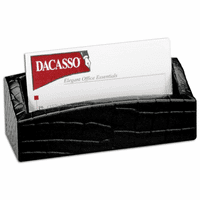 It holds up to fifteen business cards with ease, so you'll always have one ready to hand out. 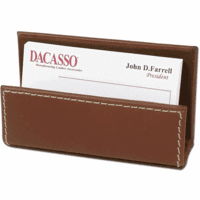 Have it laser engraved free of charge for a personalized touch, ideal for corporate gifts, employee recognition awards or as a thank you'resent for a job well done. 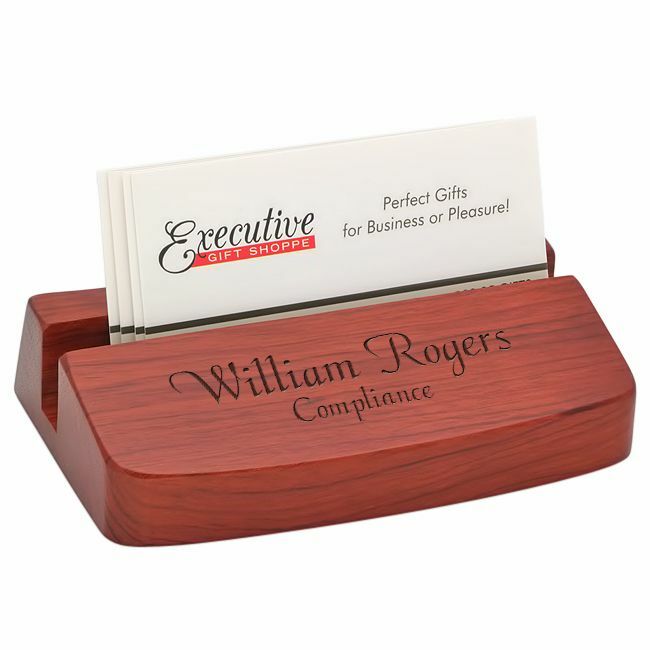 This customized wood desktop card holder comes packaged in a gift box and ships out within one business day. Dimensions: 4 1/4" x 2 3/4" x 1 1/8"
Will the engraving on this be on the wood or on a metal plate? The engraving gets laser etched right into the wood. 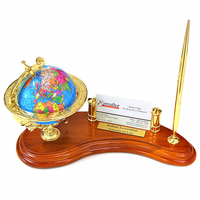 If you check the Personalize It box above the Add to Cart button, you'll be able to preview your engraving on this item page.